Birch trees are a beautiful part of the Pacific Northwest and are found throughout the states of Oregon and Washington. If you’re fortunate enough to share your yard with a birch tree, then you’ll want to ensure that it’s well protected from harm. Birch trees are especially susceptible to drought and soil compaction, leaving them vulnerable to damage from wood-boring beetles. The bronze birch borer is a native, wood-boring beetle that is often found near ornamentally grown birches. The pest has become a particular problem in areas of eastern Washington and Oregon. Like with most wood-boring beetles, damage to the tree is caused during the beetle’s larval stage. The larvae feed on the sapwood of the tree, disrupting the flow of water, nutrients, and sugar. Trees may be infested for several years before they begin showing visible symptoms. Preventative treatments are typically required to maintain these trees health, especially as they mature. Of course, preventative care is always preferred to curing a problem. You can help keep your birch tree strong and healthy with the following tips. Adequate water is essential to maintaining healthy birch trees. A slow, deep watering event will help maintain soil moisture levels and minimize the stress that invites the bronze birch borer. Mulching is incredibly beneficial for birch (and all trees) because it reduces competition with your lawn and moderates soil temperature and moisture levels. The addition of 3” of wood chips or shredded bark out to the drip line can have a positive effect by holding in moisture and promoting healthy fibrous roots. Proper fertilization can be beneficial for any tree. However, too much nitrogen will increase your birch trees susceptibility to bronze birch borers by increasing succulent growth. Do not fertilize birch trees that are showing symptoms of bronze birch borer. It can be helpful to treat your birch trees with preventative insecticides prior to seeing signs of damage as well as on trees that are beginning to die back. Here at Cascade Tree Works, we suggest treating annually (preferably spring or fall) to prevent further symptoms and to keep the beetles out. Trees that are exhibiting symptoms of damage in less than one-third of their canopy are good candidates for therapeutic treatment. However, once an infestation progresses beyond this point, the conductive tissues are too compromised to get insecticides into the tree. Dead branches will not grow back and should be pruned out. In order to effectively control a heavy infestation, two treatments are required in the first year. The first needs to be fast-acting to kill the larvae. Transtect™ is a quick absorption insecticide that effectively controls borers and will move into your tree in about a week. Following up with a Imidacloprid™ application will provide one full year of protection. Annual imidacloprid™ applications will then maintain this protection with no need for additional Transtect™. 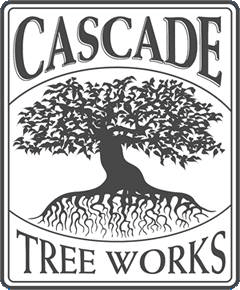 If you have a birch tree in the Greater Vancouver, Washington area and would like help maintaining its health or treating a beetle infestation, give Cascade Tree Works a call. 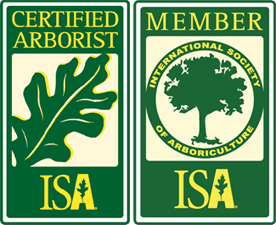 Our experts are happy to assist you in keeping your tree beautiful for years to come. Contact us today for a free consultation.